A fission engineer who has participated in some of the largest nuclear projects in India, Ranjay has ''seen all the ups and downs of the project'' since his first MAC meeting in 2007. Ranjay Sharan has a lot on his shoulders these days. A chief project engineer at the Nuclear Power Corporation of India Ltd (NPCIL), he is a key player in bringing his country's nuclear plant capacity from a present 4780 MW to a projected 63 000 MW in the next 20 years. And as the newly appointed chairman of the Management Advisory Committee (MAC), he presides over an assembly of experts and delegates whose mission is to provide recommendations to the ITER Council. While chairing MAC is not a full-time occupation, Ranjay still has to fit two jobs into every work day. "I complete my office job at NPCIL at around 7:00 p.m., go home and have dinner, rest for a moment, and then go to work for ITER for some three to four hours," he says. "I don't need to sleep more than five hours." A fission engineer who has participated in some of the largest nuclear projects in India, Ranjay was one the first MAC members. 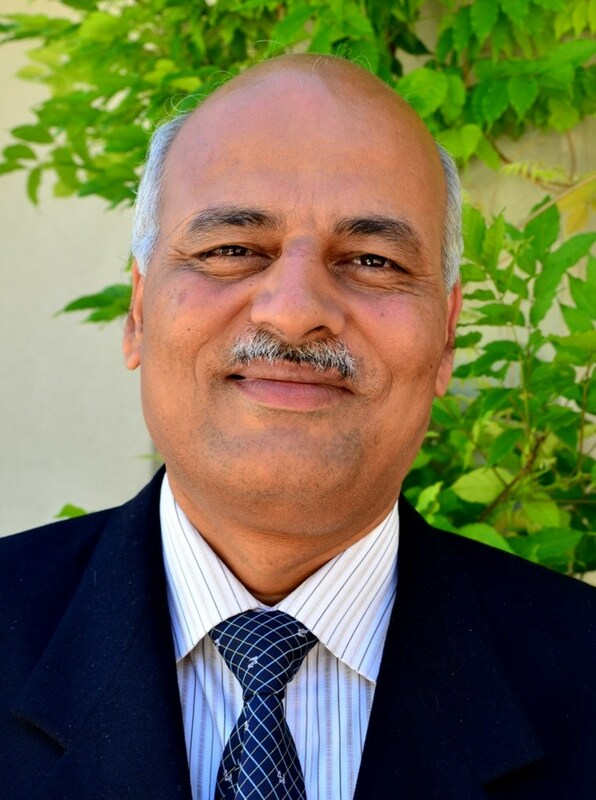 "Since the first MAC meeting in May 2007," he says, "I've seen all the ups and downs of the project ..."
Ranjay brings to ITER his expertise in project management. In 2004 he was awarded the Indian Nuclear Society medal by the Hon'ble Prime Minister of India for his management effort in the construction of reactors 3 and 4 of the Tarapur Atomic Power Station, presently the largest nuclear plant in the country. Works were completed eight months ahead of schedule and with a 15 percent cost saving. The secret for such an achievement? "When you control the schedule," he explains, "you control the cost. And the best schedule is the one you build from scratch with all latest rational and realistic inputs, not the one that is only based on past experience. That's when you can really save time. You also have to be very careful about interface management — whether it's between components or between Members ..."
Can this approach be extrapolated to ITER? "When you build a power plant, the processes and cost-control policies are centralized. At ITER, they are distributed among seven Members, a fact that makes a huge difference. A project such as ITER requires special management practices based on broad cooperation. But cooperation is not enough: each Member has to also be aware of the difficulties that another Member can encounter. This is why I intend to develop bilateral and trilateral cooperation." The new MAC chair is aware of how different cultures often lead to different approaches, and of how these approaches are sometimes difficult to reconcile. "The ITER Members are sovereign and we have to give due respect to their culture and experience," he says. "But at the same time we must make them converge in order to take the necessary decisions."